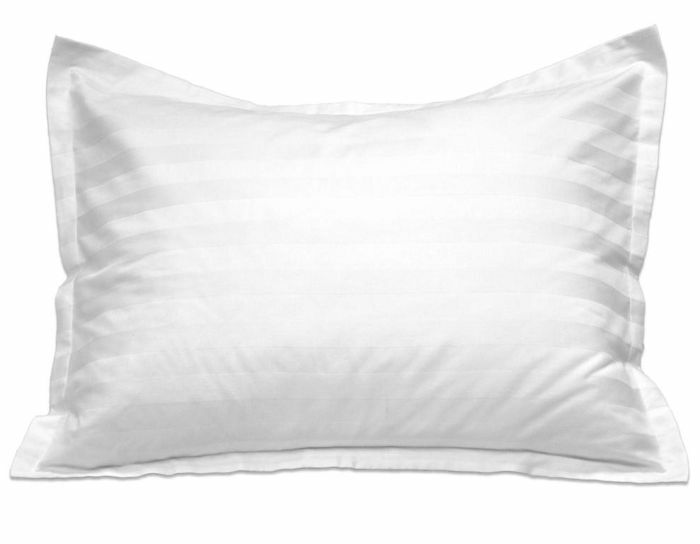 White Dobby Stripe Pillow Shams featuring a Low-wrinkle T-250 cotton / polyester fabric that launders wonderfully and is faster drying for time and energy savings. 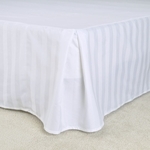 The subtle, Tone on Tone white stripe pattern provides a clean and elegant look. 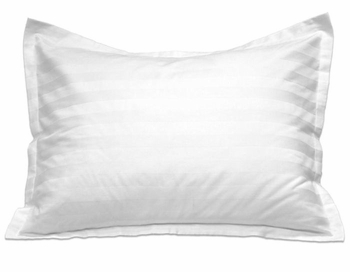 The Palmetto T-250 White Stripe Pillow Shams are available in sizes to fit Standard and King size pillows and are available wholesale by the complete case pack with Free Shipping. 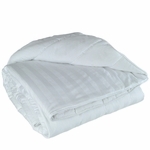 Low Wrinkle, 250 Thread Count Fabric: 70% Polyester / 30% Cotton Blend. 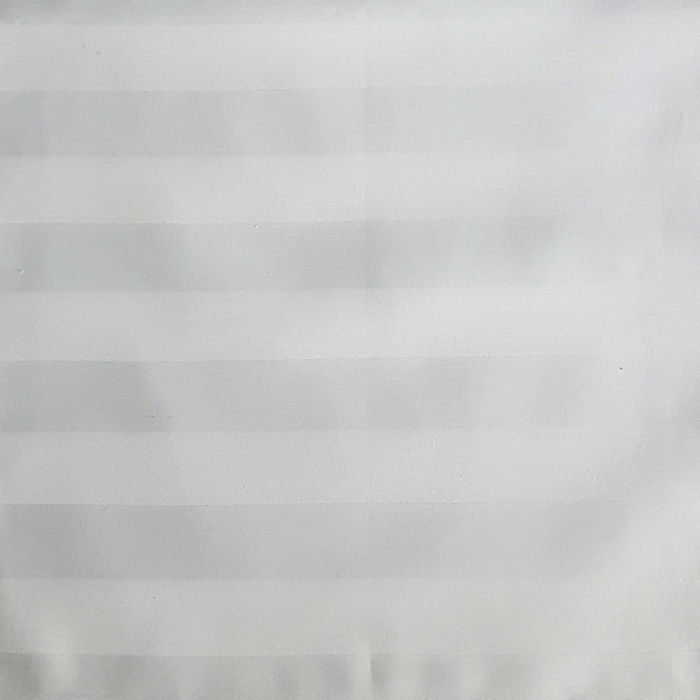 Elegant Dobby Stripe Weave: Satin Stripe - 27 mm wide white tone-on-tone dobby stripe pattern. Quick Dry Fabric saves Time & Energy in the laundry. Center Envelope opening with 4" overlap on back side. Cool, Crisp Comfort with unmatched durability and ease-of-care. Knife-edge seam construction for long-lasting durability and a simple, clean, polished look. Mercerized for a high gloss appearance, a softer hand and to further strengthen the fabric. Machine wash in warm water on regular cycle. Tumble Dry on Low - fast drying cotton/polyester blend. If bleach is desired, wash using 1.5 oz. of chlorine bleach with 1.5 oz. of bleach free detergent. Wash with like fabrics (ie. cotton / polyester blends) to ensure long lasting durability.